You Title This One (129/365 year 3) – Annoyingly Boring? 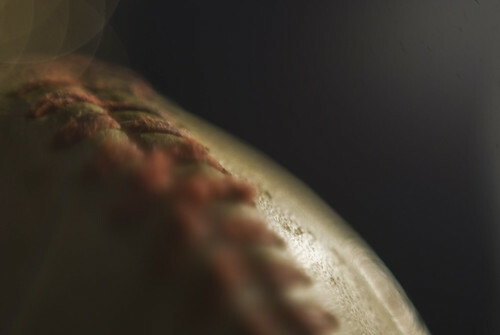 What should I call this extreme closeup of a baseball? I was trying to come up with something clever related to planets or space since I think it sorta looks like a planet, but I got nothing. The first thing that popped in my head was “Laces Out”. But that’s a football reference — and an Ace Ventura reference. I’m pretty sure neither applies here. The first thing I thought of was ‘Laced’. The second thing I thought of was ‘Line Drive’ because the ball looks like it is in motion.